Enjoy your first 60 Minute Massage for $59 – savings of almost 40%! Bella Medspa is pleased to offer massage therapy at our sister company The Sanctuary Wellness Institute. The Sanctuary employs a team of talented and highlyskilled massage therapists who perform not only sports and rehabilitative massage and body work but also top notch relaxation massage, assisted stretching and nearly every modality in between. Come experience a massage with anyone on our team of talented Licensed Massage Therapists. We offer most modalities of massage, delivered in our beautiful and serene rooms at The Sanctuary. Our Massage Therapists are hand chosen based on their professional and clinical knowledge and also their ability to deliver an outstanding experience. 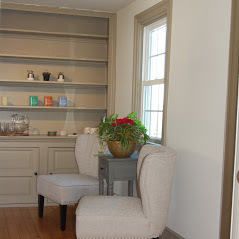 Located at 120 Pottstown Pike in Chester Springs, The Sanctuary provides a quiet, peaceful retreat where you can relax and refocus. Restored pine floors, exposed brick, soft neutral colors and lots of natural sunlight add to the serene and reflective ambiance. 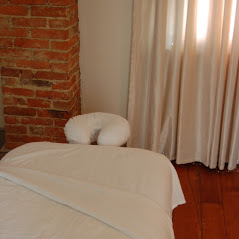 Our massage rooms are simply appointed and non distracting, giving your mind and body the quiet space it longs for. The rolling hills of Chester Springs in Chester County have seen a renaissance of sorts for all things related to art and wellness. Small, locally owned businesses specializing in everything from fresh pressed juice and craft beer to art galleries, salons, and non-invasive cosmetic services abound in this beautiful destination that’s close to the PA Turnpike and minutes from King of Prussia. At The Sanctuary we were quite fortunate to land on such coveted space at the center of it all, in the village of Eagle, directly across from Eagle Tavern at the intersection of Little Conestoga Road and Pottstown Pike (Rt. 100). In addition to massage therapy, The Sanctuary offers Guided Meditation and private yoga, pilates and barre instruction. We offer gift certificates and can set up semi-private instruction and customized packages and retreats for families, friends and parties of all sorts. We look forward to seeing you soon!